South Australian food lovers rejoice! Tasting Australia presented by Thomas Foods is just around the corner. The festival, which runs from May 1st to May 8th, has a fresh new theme, Landscapes, celebrating the geography that has shaped South Australia’s food and wine profile. Below are the Top Indulgent, Terroir and Drinking Events programs that may be of interest! For further information, please check out the Tasting Australia website. Are you thirsty for the chance to dive into locally produced beverages? From craft beers to sparkling, regional spirits to fine wines, Tasting Australia presented by Thomas Foods has some distinctive drink-oriented experiences on offer this year. South Australia’s beverage industry is brimming with new ideas, exciting flavours and passionate producers. Here is your chance to drink it all up. A sensational event in every sense, this fizzology session will guide you through the delicate process of making fine sparkling wine as you share a delicious tasting flight. Next, you’ll get amongst it as you hand-disgorge, dosage, cork and label your very own bottle of sparkling ‘Rubida’ to take home. Join this food and wine matching master class at the Jacob’s Creek Visitors Centre. Our world class staff will take you through some truly remarkable matchings in food and wine as you delve into the world of combining flavours and tastes. Once class is dismissed, you will be treated to a two-course lunch and a glass of wine or two. Wear loose pants for this seven course degustation of New Orleans-inspired soul/dude food matched with two beers per course. Meet the seven local South Australian craft breweries featuring in the meal, and have a chat with the brewers about their breweries, beers and brewing process. This combative celebration of the great grape varieties of the Rhone Valley returns in 2016 for its 4th epic year. Think Grenache, Shiraz, Mourverdre, Viognier, Marsanne and more, all from some of the best wine producers in Australia, New Zealand and beyond. With over 40 producers and 100 wines on tasting, the range of styles, characters and diversity will be an all-out assault on the senses. Enjoy a four-course ‘Beergustation’ dinner at ibis Adelaide, with a custom menu designed by our Executive Chef matched with a selection of beers from Prancing Pony. Learn about the beers from Prancing Pony’s brewer, and have the opportunity to purchase the brews showcased throughout the evening to take home. Join in on this hands-on distillation workshop that includes a basic science lesson, demonstration of an operating still and a food and beverage paired lunch. Participate in a gin masterclass and construct your very own style of gin which you’ll get to take home. Let yourself go. We’ve got your wicked desires covered. Satisfy your senses and go on our journey of indulgent discovery. Tasting Australia presented by Thomas Foods encourages you to satiate your appetite and pander to your vices this May. Are you a chocaholic? Can’t live without coffee? Waiting for your next fine wine or crazy for cheese? Love them all equally? Entwine them, relish every morsel and consume until your heart’s content. Tasting Australia offers you the chance to treat yourself, no questions asked. Explore this decadent menu of events and book your ticket now. Indulge in this decadent event where chocolate and coffee are a match made in heaven. Our luxury chocolates are handmade onsite using local ingredients, and are carefully paired with aromatic roasted coffees from Just Coffee with creamy fresh B.D Farm Paris Creek milk. Enjoy an intimate taste experience based on the concept of terroir. Be taken on a journey of flavour through four varieties of premium fortified wines matched to divine handmade chocolate truffles. Liebichwein’s luscious fortified range from two to twenty years old – a rare treat! Be joined by seven of South Australia’s award-winning winemakers for dinner as they pour and describe their distinct single vineyard wines during an unforgettable dining experience. Icons of the industry such as Stephen Henschke (Henschke Wines), Jeffrey Grosset (Grosset Wines) and Stephen Pannell (SC Pannell Wines) will tell stories of terroir, celebrating the unique landscape that has created these inimitable wines. The food is equally impressive. 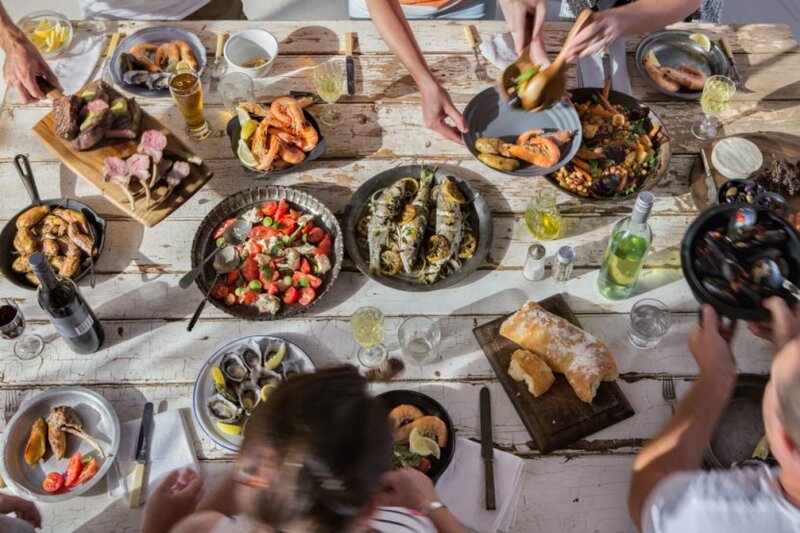 The degustation menu, created by seven outstanding, well-known South Australian chefs, is specially designed to complement the flavour profiles of the wine, recognising it as a key ingredient and not only an accompaniment. An explosion of creativity and skill, these one-off dishes will leave you curious, surprised and satisfied. Kate Laurie (Deviation Road) paired with Lachlan Colwill (Hentley Farm Restaurant); Jeffrey Grosset (Grosset Wines) with Paul Baker (Botanic Gardens Restaurant); Kym Schroeter (Penfolds) with David Swain (Fino at Seppeltsfield); Stephen Pannell (SC Pannell Wines) with Duncan Welgemoed (Africola); Stephen Henschke (Henschke Wines) with Mark McNamara (Food Luddite); Sue Hodder (Wynns Coonawarra Estate) with Andy Davies (Press; Osteria Oggi) and Dudley Brown (Inkwell Wines) with Karena Armstrong (The Salopian Inn). This unique tasting will be the most detailed exploration of single site wines ever undertaken in Australia, and will be accompanied by a closely curated menu of regional fare that is equally reliant on site and location for its definition. It is time to explore the nuance and character that make single-site and single vineyard the most distinctive of all wine expressions. This creative partnership sees Daniela handcrafting her unique chocolates around this tasting of specialty South Australian rums and gins, which will be revealed on the night. Meet the makers at this degustation of fabulous local cheeses paired with the perfect local wines. This event is hosted by Adelaide’s cheese queen Valerie Henbest (owner of Say Cheese, and Smelly Cheese, Central Markets) with guest appearances by local cheese producers and a special guest wine maker. Wonder what flavours really identify the Barossa? Or how the Hills have developed their offering of artisan cheeses and outstanding cool climate wines? 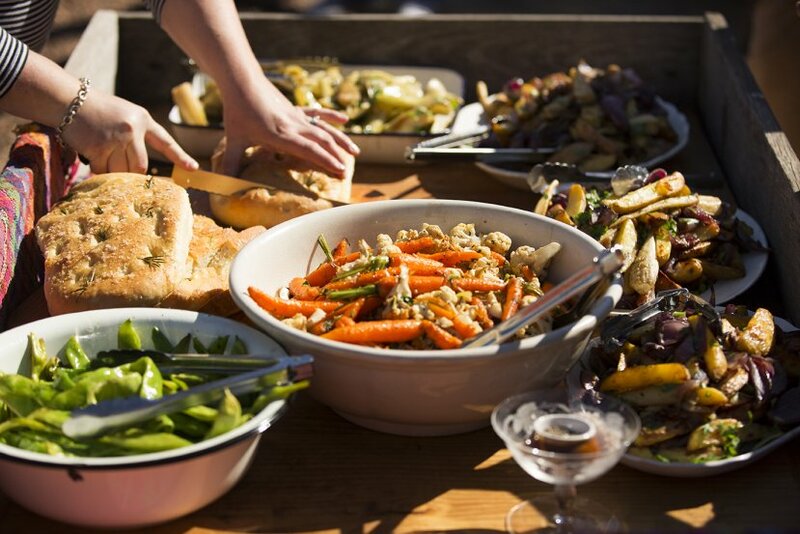 During Tasting Australia presented by Thomas Foods 2016 you can experience terroir in the true sense of the word: enjoy an extravagant lunch served by three of the Barossa’s leading restaurants or tour through South Australia’s prominent food bowls, sampling wares along the way. The climax? Single Sites Dinner, an evening that will bring together seven award-winning South Australian winemakers to pour, explain and share in their single vineyard wines. Dinner will be prepared by Adelaide’s leading chefs, who too will explore the meaning of terroir through their dishes. Focus your senses in this one incredible dinner as seven chefs and seven winemakers come together to explore some of Australia’s most distinctive and singular expressions of terroir. Discover the role and influence of our physical landscape, climate and wine history as seven of Australia’s greatest single vineyard wines are matched to seven beautifully crafted dishes in this very special dining event. Tour three of the Barossa’s award-winning, iconic food and wine venues in one progressive lunch. Taste the delicacies of Hentley Farm and Appellation over a shared table lunch (two courses paired with wines), followed by dessert at Fino at Seppeltsfield matched with Seppeltsfield esteemed fortified wines. Join Geoff Schrapel, fifth generation Bethany landholder and winemaker for a culinary ramble through his charming village, stopping at fascinating sites for a moveable feast of food and wine and culminating with a guided premium wine tasting and dessert at Bethany Wines, with food by ‘Food Luddite’ Mark McNamara. The Epicurean Way seamlessly links together the four iconic wine regions of McLaren Vale, Adelaide Hills, Barossa and Clare Valley. Discover an amazing taste of the way we grow, harvest and serve the incredible produce that this state has to offer.